Two weeks after launching his investigation on cryptocurrency exchanges, New York Attorney General Eric Schneiderman resigned from his office after allegations of sexual assault. The outspoken figure of the #MeToo movement against sexual harassment finds himself in an unpleasant situation after an explosive article by the New Yorker. It appears that four women with previous romantic ties to AG Schneiderman reported sexual misconduct and physical violence. On a hunch, Manhattan’s district attorney’s office opened a criminal probe to investigate the case further. New York’s highest-ranking law-enforcement officer faces the same reckoning as film producer Harvey Weinstein, against whom AG Schneiderman took legal actions back in February 2018. The breaking news comes just two weeks after AG Schneiderman launched an inquiry into thirteen major cryptocurrency exchanges and trading platforms. The initiative aims to shed light on the operations, applied fees, use of bots, conflict of interest and other undisclosed issues by the so-called platforms. 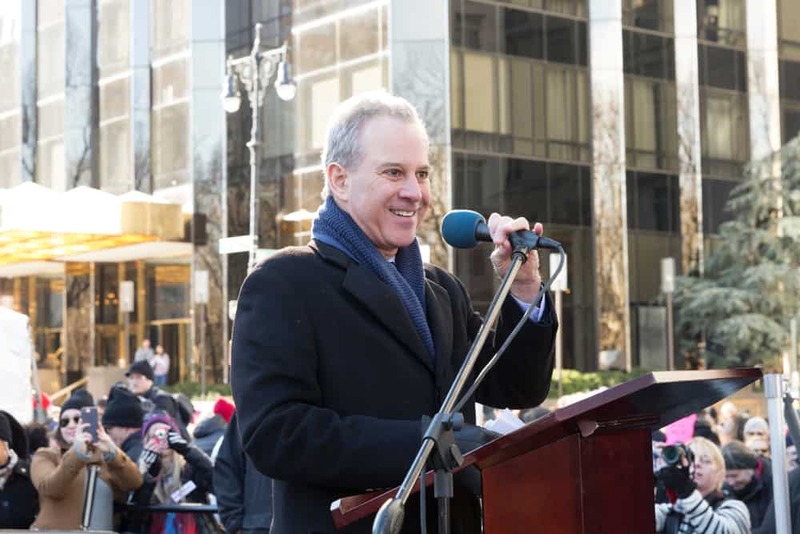 Schneiderman’s office sent the questionnaire to major crypto exchanges including Coinbase (GDAX), Gemini, Bitfinex, Bittrex, Binance, Kraken, and Huobi. All thirteen exchanges have the deadline of May 1st, 2018 to return their answers for the AJ’s office, before making a public statement that sums up the findings of the inquiry.